At least 46 people have been injured as violent clashes and strikes paralyzed Greece on the eve of the vote for fresh austerity cuts. 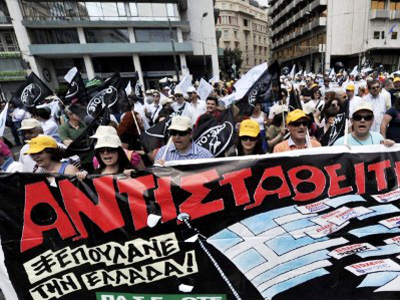 Over 20,000 people took out on the streets of Athens on Tuesday, beginning a massive general 48-hour strike. 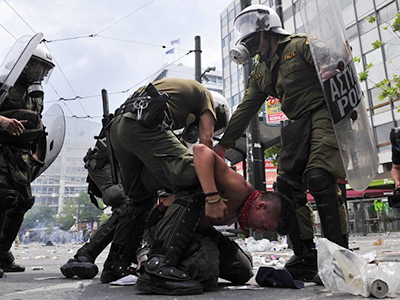 As the protest in Athens turned violent on Tuesday, at least 14 people were arrested. Police used tear gas and stun grenades to disperse aggressive youths, reportedly anarchists, who joined in the rally, throwing stones and marble chipped from nearby buildings, as well as Molotov cocktails. Twenty-one police officers have reportedly been injured in the clashes. Most of the demonstrators have not been involved in violence, but tear gas forced them to leave the square outside the Finance Ministry for some time. Hundreds of police officers have been drawn up to the center of Athens to save the parliament building from protesters getting inside. The strike has halted the work of most public services in Athens, with such professionals as doctors, ambulance drivers, transport workers, actors and other workers joining in en masse. The center has also been closed to cars and transport. Athens Metro workers have temporary abstained from the strike to provide protesters transportation to the central Athens. In its statement, the labor union of state officials, which includes over 500,000 members, said that it condemns the EU and IMF’s bailout policies. Protesters, some of whom have gathered in Piraeus port of Athens on Tuesday, are demanding government to stop their policies of impoverishing its people. 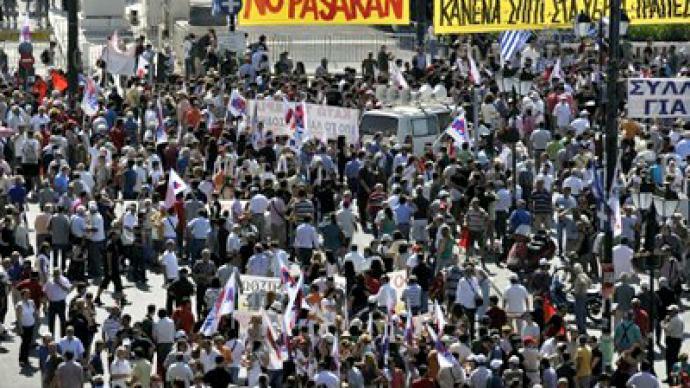 "The situation that the workers are undergoing is tragic and we are near poverty levels,” protester Spyros Linardopoulos was quoted by AP as saying. “The government has declared war and to this war we will answer back with war." Some 5,000 policemen are guarding the center of Athens, where protesters are gathering with the aim of moving towards the parliament. 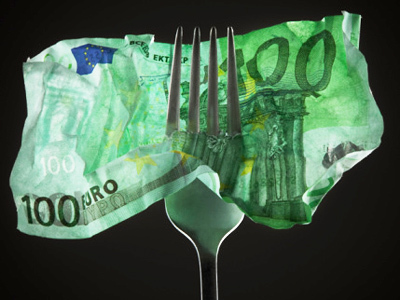 Starting Monday, the Greek parliament has been debating the financial program up to 2015, stipulating over 28 million euros in budget cuts. If adopted, the plan will lead to tax hikes and pension cuts, as well as layouts of 150,000 people from budget-funded organizations. 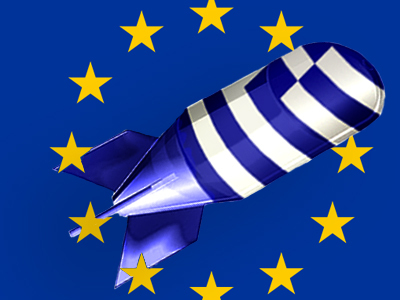 The adoption of the program comes as a condition for Greece to receive the next installment of 12 billion euros of the EU-backed bailout. Without the bailout it is expected to become the first of the EU states to default on its debts, inevitably affecting other EU economies. ­Demetri Kofinas, a financial journalist, says the bailout will not work and will collapse like a house of cards. Yanis Varoufakis, lecturer at the University of Athens, says that says that even those who are voting for the measures do not believe in them and relying “on a miracle”. The only solution for the problem, he suggests, is to solve Greece’s crisis at the same time as other financial problems in Europe. 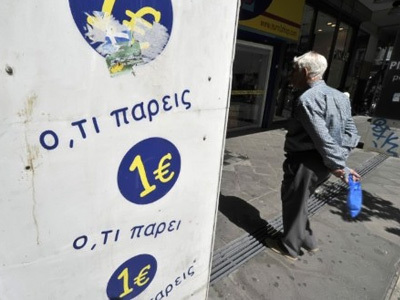 ­Petros Papaconstantinou, a columnist at an Athens newspaper, says European Union is bluffing causing more pressure on Greece’s government before voting, because it understands that Greece’s default will be a disaster for the whole EU. “The pressure from the EU is tremendous. We could talk about the black mail against the Greek government because they say unless you vote for that outrageous bill tomorrow in Athens there will be no loans later and Greece will be left to default,” Papaconstantinou said.